Audiopolis #11. Friday October 31, 2014.
audio-MAD. 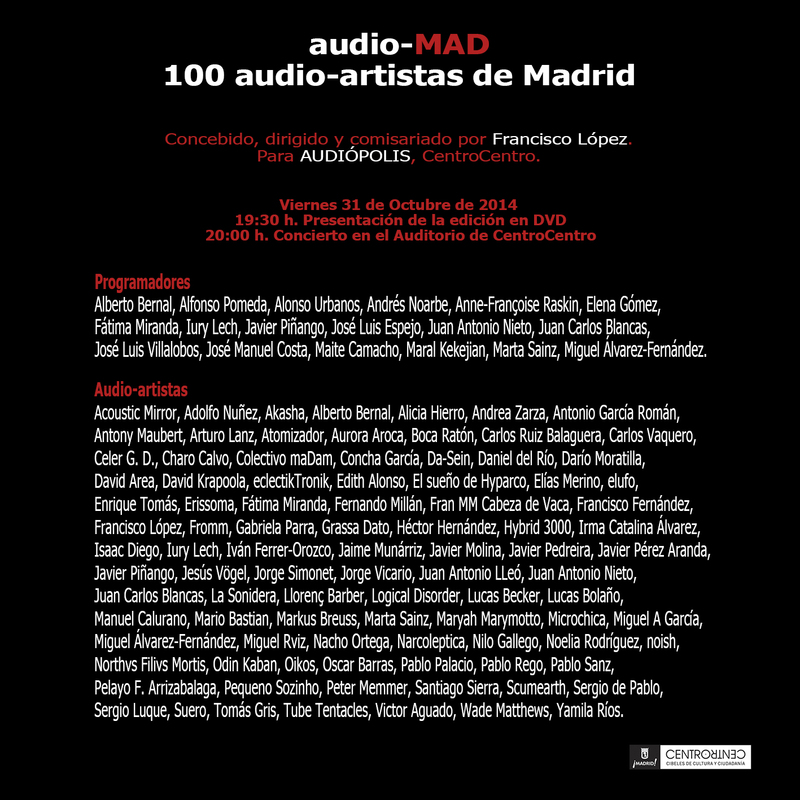 100 audio-artists of Madrid. Friday October 31, 2014 at 7:30 pm in the Auditorium of CentroCentro, will be presented the DVD edition of “audio-MAD. 100 audio-artists from Madrid” and at 8:00 pm the solo concert performed by one computer, without human controller, based on a “recombined” selection from the materials of all the participants artists. 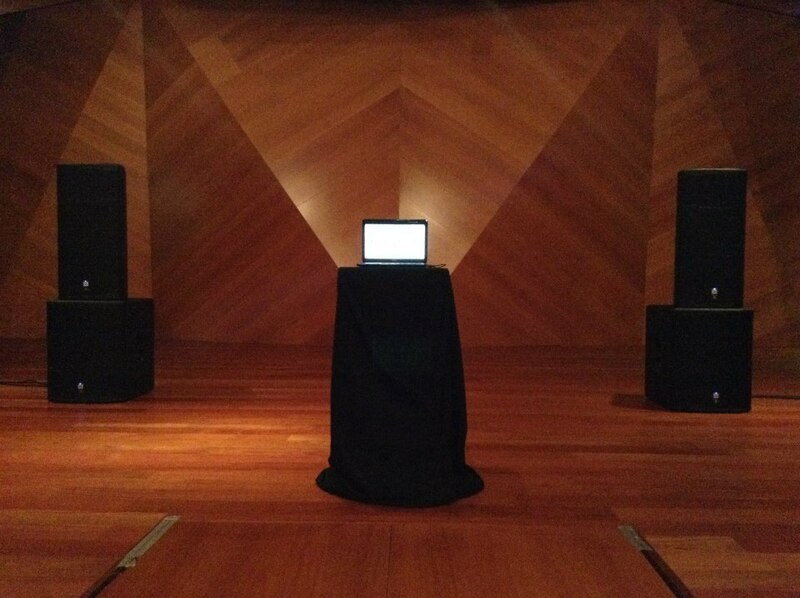 From 6:00 pm you can visit the listening space of Audiopolis, on the 5th floor of CentroCentro. There you can listen to both the individual pieces without changing, as several recombinatorial-compositional results. Francisco López, curator of Audiópolis, has invited 20 programmers to participate and invite in their turn several other sound artists, experimental musicians, composers, noisers… of Madrid, to make each one of them, a total of 100 artists, a sound piece expressly for this project. All the pieces are presented as isolated, individual pieces and also remixed as “sound module recombination”, processed and structured by the ad hoc self-controlled software developed by artist/programmer Óscar Martín. Links to the websites of the participants HERE. Photo: Francisco López. PEPA. CentroCentro’s Auditorium. 31.10.2014. 31.10.2014. Concert in the Auditorium of CentroCentro.